The Adventures of Fi: Why did I decide to become a runner? On January 10th 2012 I made the decision to change my life. To eat less. To eat better. To exercise more. To be healthier. I don't know why it was that date or why, after so many years of being unhealthy, I decided at the age of 26 that I needed to change my life. But I did. Then two weeks later I made the decision to take a step further and download the Couch to 5k app. Thereby becoming a runner. I've always been sporty, I loved playing hockey, netball and rounders but running without a stick or ball? No, that I loathed. And I'm pretty sure that at that time I hadn't run, not even for a bus, for six years. I may have found the first few 'runs' absolutely horrendous and wondered how I'd ever enjoy it but I kept going and going and going...and finally something clicked. Now two years, three stone, a 5k, three 10ks and six weeks of a half marathon training plan later I am proud to say I am a runner. So what's your running story, I'd love to hear it! Thanks Tara - I think I'll need it! Although I did 11.2 miles yesterday, so feeling a little more prepared now! Thanks for popping by. 3 stones! That is so awesome. Reading about all the other races you ran I'd say you are for sure ready for a 1/2 marathon. It's a wonderful experience and actually goes by faster than you think. That's my hope, but we shall see in less than two weeks! Thanks for organising a great link up and for popping by. Thanks for stopping by! Yes that quote is pretty awesome isn't it? It's the one I remind myself of when I've had a bad day. Fingers crossed I'll be ready in two weeks - it's quite exciting really! Yes! 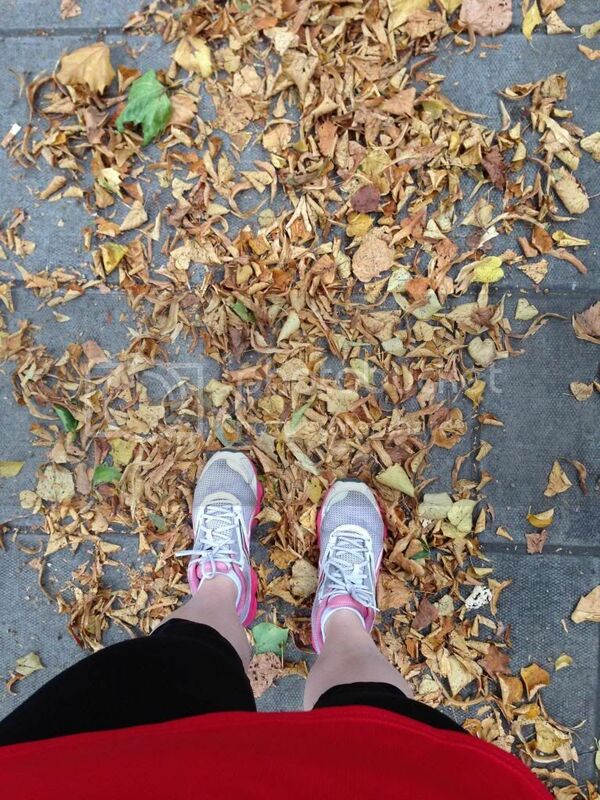 If you run, you're a runner :) Thanks so much for linking up! Have a great weekend. Thanks for organising the link up - it's a great idea. I can't wait for next month! I really like that idea--your noun is all about the verbs you use. If you run, you're a runner, if you make art, you're an artist, if you write, you're a writer...any identity can be yours for the choosing based on your actions. Exactly - it's a brilliant idea. 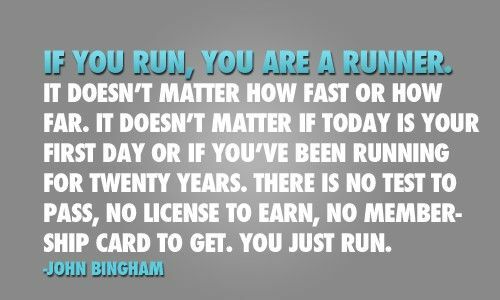 And the perfect thing to remember when you haven't done as much or as far or as well as you planned as you've still achieved something and you are a runner! Thanks for popping by.